Most small businesses get their customers from their local area. Locally owned small businesses are – and you’ve heard this before – the backbone of America. And with the rise of social media (i.e. Twitter, Facebook, etc…), small local businesses are trying to figure out exactly how they can leverage the new social media platform to do things like increase foot traffic, convert more sales, and increase new customers. And interesting statistic was released that showed only about 15% of fans on a locally owned businesses’ Facebook Fan Page are actually local. Put it another way, 85% of fans on a locally owned businesses’ Facebook Fan Page are not local. I mean, what’s the point in a small, locally owned business having a Facebook Fan Page if the majority of the fans aren’t even from the market in which they do business? There’s gotta be a way for a locally owned business to grow their Facebook Fan Page with fans who are actually from their local market. Great news – there is! And I’m about to share with you the #1 most effective way for a locally owned small business owner to grow their Facebook Fan Page. Here’s the short answer – doing give a ways! I figured I’d just throw that out there so as to not keep you waiting. 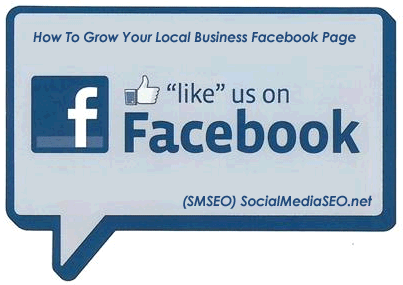 That’s right – give a ways is, without a doubt, the most effective way a locally owned small business can grow their Facebook Fan Page. But now let me define what a give a way looks like for the small, locally owned business. If you are a locally owned small business, and you are looking to do a give a way with the intent of building your Facebook Fan Page – and the purpose being to generate more business and revenue from your local customer base – then it wouldn’t make much sense to give a way something that redeemable on a national level. To build your local fan base, you have to run give a ways that are both relevant to your local customer base, and that also are redeemable only within your local market. AND…. make sure that the first stipulation in the give a way is that you are a fan of your store’s Facebook Fan Page. For example, let’s say I’m a locally owned clothing store and my primary customer base is women ages 25 – 40. Of course, revenue is generated solely from those customers walking in my front door and purchasing clothing. However, I need to increase my Facebook Fan Page fans with people who are actually within my local market. A great idea, considering this particular market demographic, would be to give a way something like Chik Fil A giftcards, or some other popular restaurant. But the restaurant MUST BE local, and you must put a stipulation on your give a way that the coupons are ONLY redeemable within your local market. Another great angle on this strategy would be to find a popular restaurant that is only found in your local city, or within the neighborhood of your store. The point is, target your give a ways to the local market so that the fans you build from your give a way only come from your local market. And the amount of money you spend on running give a ways (like a $20 gift card to Chik Fil A for example) is nominal compared to impact of growing your Facebook Fan Page with actual local customers and being able to send out promotions and deals to those who are in your city.